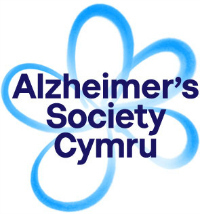 Alzheimer’s Society in Cardiff is uniting against dementia with Cardiff Libraries this Dementia Awareness Week (14 -20 May), with activities planned across the city throughout the week to support people affected by dementia. During this year’s Dementia Awareness Week, Alzheimer’s Society is asking people to come together to unite against dementia, forgetting their differences to help urgently find a cure, improve care, and offer help and understanding. Dementia Friends sessions on Monday 15 May (11am and 1pm) and Thursday 18 May at 1pm which includes an introduction talk to the Side by Side service. The screening of the documentary of hit National Theatre Wales play, ‘Before I Leave’ which is based on choirs for people affected by dementia on Tuesday 16 May at 11am. This will include poetry by Patrick Jones and a talk on the production’s accompanying app and digital project by Paul Thomas. The opening of a brand NEW dementia café on Thursday 18 May at 11am – this will include refreshments provided by Marks and Spencer, accessible library services will be offered as well as library staff on hand to load audio and e-books to your preference. Bring your electronic device! Alzheimer’s Society’s Dementia Friends programme is the biggest ever initiative to change people’s perceptions of dementia. It aims to transform the way the nation thinks, talks and acts about the condition. It was launched to tackle the stigma and lack of understanding that means many people with the condition experience loneliness and social exclusion. There are over 68,000 Dementia Friends in Wales. Find our more, here. “We have a jam-packed week planned this coming Dementia Awareness Week offering a range of activities, information sessions and entertainment with film screenings and poetry readings. We will be helping people living with dementia and their carers to get online and download e-books to enjoy at their ease and leisure. “There are over 4,000 people living with dementia in Cardiff. Uniting with Cardiff Libraries across the city is such an important relationship for us to have as their service provides a pivotal role in communities across the Capital. We are delighted with how ambitious the Library has been this Dementia Awareness Week with events planned across the week including the launch of a dementia café. “We’re calling on people in Cardiff to show their support this Dementia Awareness Week. “People with dementia often feel – and are – misunderstood, marginalised and isolated but with the right support and understanding they can continue to live fulfilling lives and make a contribution to their communities. So, unite with us now and join us at the many events taking place in Cardiff Libraries this Dementia Awareness Week.